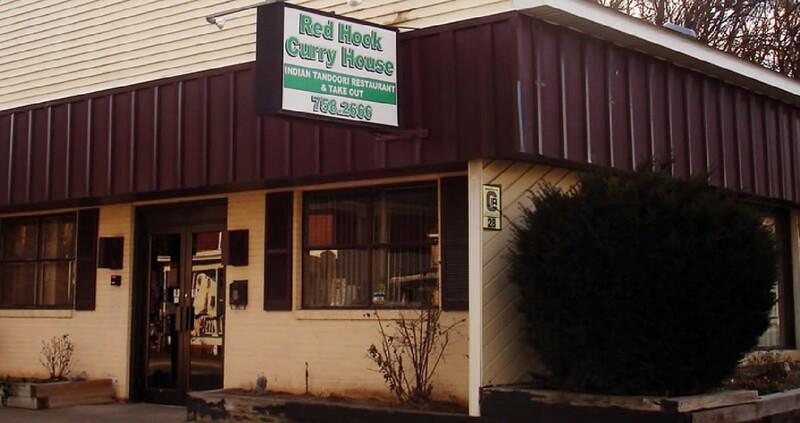 The Red Hook Curry House is located at 28 East Market Street in the village of Red Hook. Mohammed Haque began operations here back in­ 2001. Prior to that, he owned another Indian restaurant just south of Rhinebeck and also gained a lot of restaurant experi­ence in New York City. Mohammed and his family have resided in Rhine­beck for many years now, but he felt that Red Hook was a great central Northern Dutchess location for an Indian Restaurant. Both Mohammed and his wife, Maksuda, are the chefs for Red Hook Curry House. We offer changing daily specials as well as a very popular Hundi Buffet on both Tuesdays and Sun­days. The buffet offers 4 vegetarian dishes, 4 non-vegetarian dishes and includes appetizers, soup, salad bar, bread, dessert, tea and coffee for only $13.95 (children under 12 years old $8.95). Aside from the specials, Red Hook Curry House is open seven days a week from 11:30 am through 3 pm for lunch and 5 pm through 10 pm for dinner. The only exception is Friday, when we are open from 3 pm until 10 pm. Indian Bread is always freshly baked to a customer's order. The Red Hook Curry House menu changes frequently so patrons don't get bored, but can always find favorites. We have an extensive vegetarian menu and' great seafood dishes. Whether a customer prefers milder dishes, such as the well-liked Chicken Korma, or extremely spicy-fare, such as Chicken Vindaloo, Red Hook Curry House can recommend dishes for everyone's to taste. Looking for a place to hold a business meeting or party? Red Hook Curry House has banquet facilities for very small gatherings up to groups of 100 people. We frequently hold wedding receptions on­site, but can also do off-site catering for weddings and parties. Mohammed feels the part of the business he enjoys the most is meeting the "very nice customers. "Red Hook Curry House has no liquor license, but customers can bring their own beer or wine.Reservations are normally not required, but Mohammed said groups of ten or more should make a reservation. Of course, take-out is also very popular. Red Hook Curry House has received acclaim and excellent reviews in several local magazines and newspapers. Our phone number is 845-758-2666.